Avoids the clichés that have plagued Modern Rock over the last five years and gives it a much needed kick in the backside. 'Unity' sees Detroit's No Resolve step out of the shadows of their peers and go head to head with them on an album that is sure to impress those that have a penchant for Modern Rock. Having supported the likes of Hinder, Pop Evil, Sick Puppies and Papa Roach, as well as recording one EP, 'Unity' has already been making waves in the US, debuting at Number Ten on the Billboard Heatseekers Chart. The association with PR doesn't stop there; Jacoby Shaddix's brother Bryson Roach (is that really his name?) shot and directed the band's first video for one of the album singles, 'The Pusher', and Shaddix's clothing line, 'Lovers Are Lunatics', is endorsing the band. NR have a certain similarity to PR musically too. The opening salvo of 'Wake Up' and 'Love Me To Death have a similar guitar punch and even 'What You Wanted' veers into that kind of territory, although melodically it's a different proposition entirely. The band's use of electronics occasionally takes them into Hands Like Houses territory and on the '...Pusher', 'What You Deserve' and 'Kill Us', vocalist Oscar James Pegorraro sounds remarkably like HLH's Trenton Woodley. 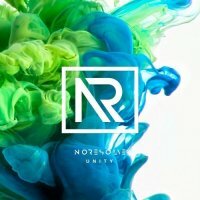 No Resolve's forte is ripping it up, as on the crunching 'Turning You Over', but occasionally they throw us a welcome curve ball as with the emotional piano-led 'Dancing With Your Ghost' or the Shinedown-tinged 'Change It All'; a brilliant song that if given the necessary exposure could become a huge hit. 'Unity' is something of a revelation. It avoids the clichés that have plagued Modern Rock over the last five years and gives it a much needed kick in the backside, proving that there is room for this type of music as long as the quality is high. I look forward to charting the band's progress.